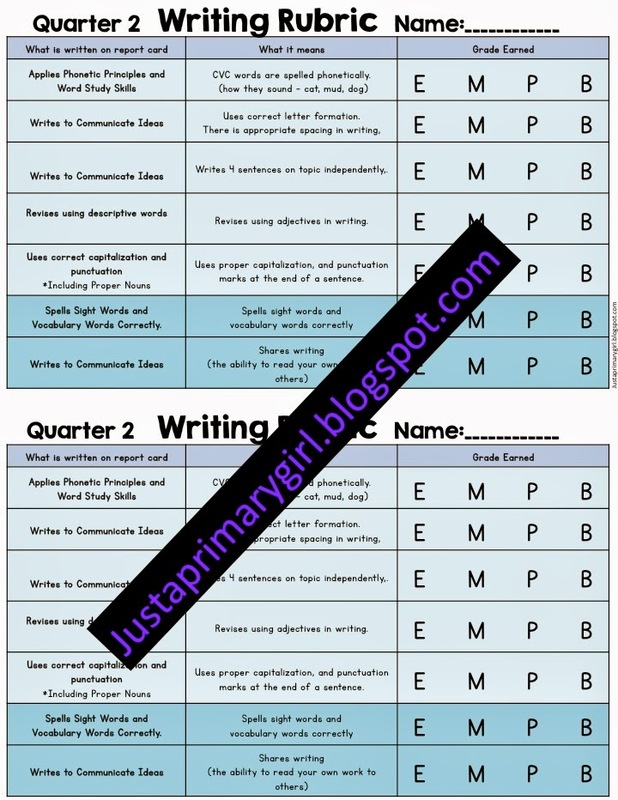 I was busy this weekend revising my Q2 rubric and creating some cvc worksheets for my friends that need some reinforcement. I looked high and low for a rubric that I could use on the internet, but since we are not a common core state, I couldn't find anything that fit my needs. So I took our standards - which are pretty close to everyone else's and I made my own. This first one is the one that I explain at conferences and give to them laminated so they can hang it on the fridge and have a reference of how to help their child meet the expectations. I only send this one home one other time half way through the nine weeks in case they loose it. This is much more detailed so they can help their child by seeing what they may need help with. This is the rubric that goes home with each writing. I keep the original writing piece because I make a bound book for parents showing their progress through the year. 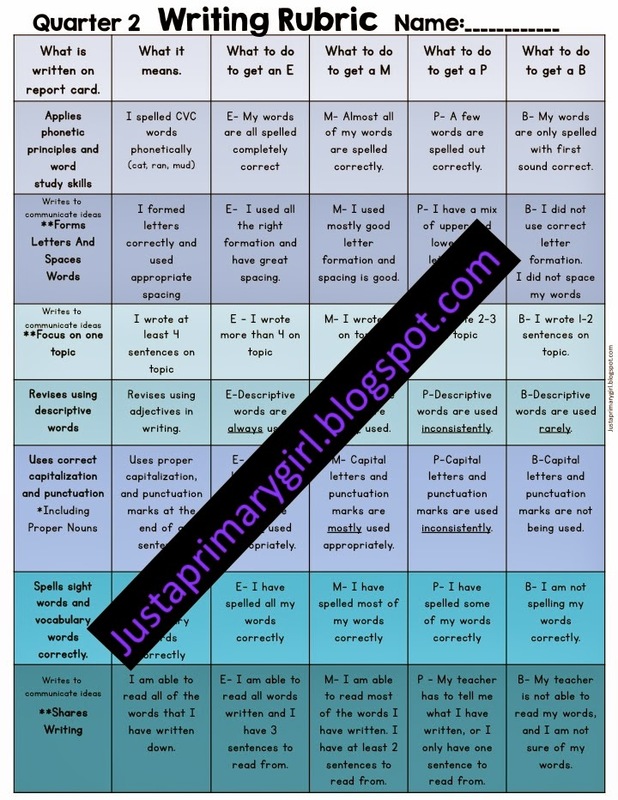 I have them write at least twice a week to prompts, and we also write about our own choices, but the first nine weeks I have them practice the rules of writing while writing to prompts with class brainstorming so they understand the process of writing. 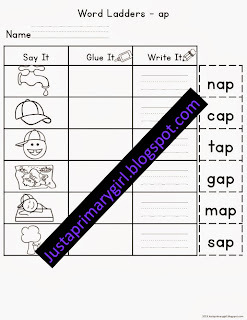 I don't feel first graders have the ability to just write on a topic with little or no understanding of writing. That is just my opinion and I am sure everyone can discuss their own ideas, but this is just how I do it. I feel like because I teach editing marks, brainstorming and grammatical processes that my students are thoughtful writers. I will be putting this in my store today so you can use it. It isn't editable, but I am thinking of adding an editable one in my store so you can customize it for your needs. Next up is my CVC pack! I am so happy that I made this for my kiddos. I have some that struggle with CVC words. We practice ladders each day during guided reading, but I wanted some reinforcement for them that wasn't too hard, and they could do it on their own. So, thanks to Pink Cat - I was able to do this! I spent a small fortune on clip art - but know that it will save me headaches later. 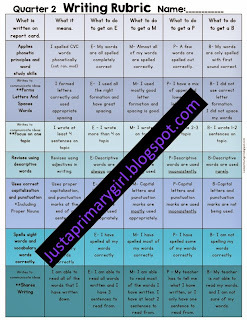 Then I also included word ladders that only one letter changes with each word. My kids love doing these! I will be working on sorts with two word families this week as review as my kiddos master this list. 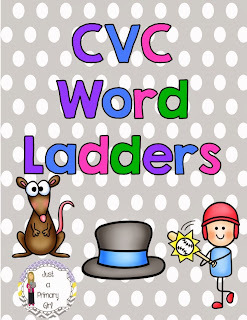 I am also working on my cvc-ccvc words and they will move through the list of words - I am hoping with saying the word, gluing and writing in order with the ladder they will become more fluent readers and writers! Enter your chance to win a copy!